creative print and online marketing ~ all at an affordable price. Who are we? After spending years owning businesses in the hospitality, lodging and advertising worlds, Barb and Don Trueman founded Paramount Pixels in 2007 as a small (but mighty!) 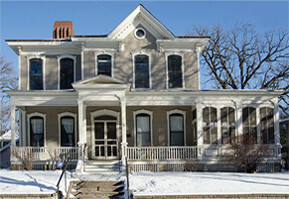 digital design and photography studio located in historic Stillwater, MN. A few years later, Greg Page, professional photographer, joined our team. Greg’s background includes well-known magazine covers and spreads, studio and on-site photography, architecture, people, food, and design. Since our inception we have worked with over 100 clients in the Midwest. 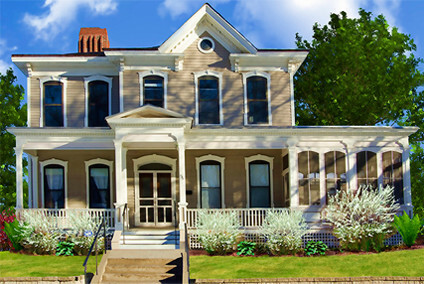 We are the house photographers for small, intimate weddings and elopements at the Cotton Mansion, Duluth. We love helping entrepreneurs and small businesses improve their bottom line through digital and social media marketing. Give us a call at 651-430-1068. First Impressions Count and in today’s visual world, that means your website and print pieces must project your image and grab audience attention with VISUAL IMAGES. Post Production Photoshop: Computer “dark room” skills including adding fires to fireplaces, clouds to skies, removing wires, creating extra lighting, bringing the outside in, and so much more! Getting Started: Very easy to get the ball rolling…give us a call at 651-430-1068, or email us at Barb@ParamountPixels.net. E-mail or call for a complimentary quote. Contracts are provided outlining project details, inclusions, prices and an estimated completion date. We discuss, in detail, all aspects of the project prior to starting to make certain we are tracking together. Deposits & Final Payments: Upon your approval of our contract, a 50% non-refundable deposit is due with signed contact. Photography: Multiple images are taken so that you have many to select from. You will receive your selected images in both print and web format. Ownership: You can use your photos as often as you like to promote. Photo credits must be given when using print PR. Paramount Pixels reserves the right to use your photos to promote our capabilities to potential clients.